At EPIC our primary focus is to give our patients the best possible health care they can get. We provide guidance and education to our patients about preventative health care and staying healthy. Learn more about some areas that we can guide you in your journey to living the healthiest life that you can. This diagnostic testing procedure is usually painless and it helps our physicians diagnose and treat medical conditions. Vascular ultrasounds provide pictures of the body’s veins and arteries. Cardiac ultrasounds, also called an echo-cardiogram, uses sound waves called ultrasound to look at the size, shape, and motion of the heart. When you or your loved ones get sick or hurt, the last place you want to be is an emergency room if you do not need to be there. It is far less stressful, expensive, or time-consuming to come see your EPIC PRIMARY CARE physician for acute care. Flu, also known as influenza, is a respiratory illness caused by a virus. Influenza is highly contagious and life-threatening for some population groups.The flu vaccine is recommended to all persons six months of age and older, including healthy adults. Learn More about Flu Immunization. Finding out what you are allergic to is an important first step to effective allergy treatment. Today allergy tests are more convenient and accurate than ever before. When combined with a detailed medical history, allergy testing can identify the specific things that trigger your allergic reactions. We perform allergy testing at our offices, learn more. Regular blood tests and other lab testing is critical for many patients. This type of testing can analyze your biochemical and physiological well-being. It can also identify certain medical ailments you might have. With some lab tests your physician can assess the state of your internal organs as well. If you are in need of lab work and analysis we can assist, no healthcare provider can assist you quite like EPIC. We provide our patients with access to fast and efficient blood work lab results. Learn more about some of the lab testing that we provide. Tobacco use is the most common preventable cause of death. About half of the people who don’t quit smoking will die of smoking-related problems. Quitting smoking is important for your health. The first step to quitting is making a plan. From knowing what to expect to being prepared for the challenges ahead, we’ll guide you on your path to a smoke-free life. Let our professionals at EPIC help you quit smoking. At EPIC our Nutritional counseling program offers a solid educational component for long-term lifestyle changes, versatile and healthy meal replacement options and a strong maintenance component. If you need to lose weight in order to improve your health and/or to decrease risk of diseases, we can assist you in getting on the right path. Learn more about our Nutritional counseling programs. Exercise Programs: Even for our healthiest patients, your EPIC PRIMARY CARE team recommends exercise as an extremely effective type of preventive care. Regular exercise can help protect your heart and lungs, and can build muscles to keep your body strong. Exercising daily can also help fight chronic diseases such as high blood pressure, heart disease and others. We can help you get started on an effective exercise regimen for better health. Most insurance companies cover this service. Exercise is the best form of preventative medicine. Schedule an appointment and come meet our expert Exercise Physiologist, Tyler Crouse. Learn more about Exercise Physiology. Scheduling a Physical Exam is an important part of maintaining your health. At EPIC our medical experts are specifically trained to understand and perform the right Physical Examination for you. Our Pediatricians can perform general Wellness, Back to School, and Sports Physicals for your infants and teens. While our Internists and Family Practitioners can perform, Annual Preventative Physical Exams, Employee Health Physicals and Pre-Employment Physical Screenings. 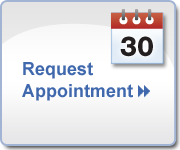 Learn more about getting a Physical Examination.